Ajahn Brahmali leads a guided meditation class on 28th January 2017. Perseverance is required for success in achieving any goal in life, and this is true for Buddhist practice also. 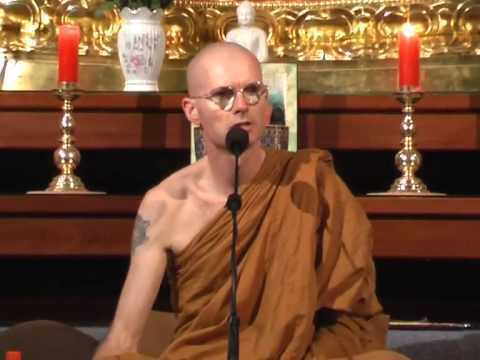 Ajahn Brahmali explains that when we have a commitment to the Buddhist path over many years we get the beautiful, peaceful fruits of practice in our lives. Many people see the ceremonies and etiquette of religion to be empty and a barrier to getting to know what the teachings are really about. Ajahn Brahm gives a talk going to what the essential core of Buddhism is really about, unbound from the fetter of ceremony and ritual. Venerable Nitho expands on the ground work laid in weeks 1 and 2. Venerable gives us real world examples of how remaining calm and composed can benefit both the meditater and those around us. The focus this week is breath meditation with [for beginners], an added focus point. This helps tremendously when learning to meditate. Ajahn Brahmali leads a guided meditation class on Saturday 21st January 2017. Ajahn Brahm gives a talk about being sick, and the Buddhist attitude to being sick, because being sick and unwell is something that happens to all of us at some time in our lives. He offers skillfull means in order to better understand sickness and to deal constructively with the experience of being ill.
Ajahn Brahmali discusses the topic of new forms of artificial intelligence and computer intelligence, and the idea of the Singularity, and what this means for humanity. Furthermore, based on these new developments he discusses what it means to be human in this context. Responding to a request about which type of Buddhism to follow. 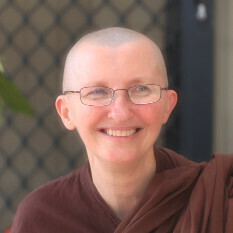 Ajahn Brahm asks whether there is really any meaningful difference between the traditions of Buddhism, and that ultimately it's best to follow the teaching of the Buddha - the Dharma/Dhamma - as authentically as we can. And also to have fun doing so! 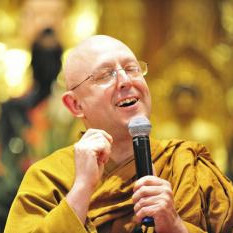 Ajahn Brahm declares himself a member of the Hahayana school of Buddhism which is about creating happiness in this world. Ajahn Vayama gives a talk on the time just before the Buddha's Awakening, demonstrating the power of goodness as an example to us all. Venerable Nitho expands on the ground work laid in week 1. Venerable gives us real world examples of how remaining calm and composed can benefit both the meditater and those around us. Including wildlife. This is Week 1 of 4 beginners meditation with Venerable Nitho. Venerable Nitho explains what meditation can help us to achieve. Venerable uses his own life experience to help explain why he meditates and what we can achieve by practising. Ajahn Brahm | Learning How To Relax - A dharma talk and guided meditation at the Armadale meditation group. reduce depression, anxiety and anger by developing positive emotions and gratitude. The results are an increase in satisfaction, contentment and fulfillment. Responding to two requests about how to deal with the ending of relationships, Ajahn Brahm gives a unique talk on when and how to end relationships in a way that is skillful and compassionate. 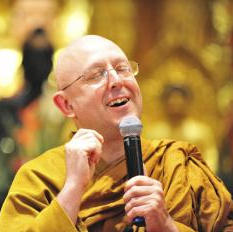 Ajahn Appichato leads a guided Saturday afternoon meditation. 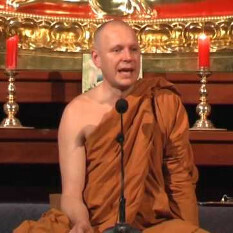 Ajahn Appichato discusses how our personal karma works within ourself and the people we are connected with. We all have to bear with difficult and challenging circumstances in life. Ajahn Brahm talks about the quality of endurance: the dumb sort of endurance, and the wise sort of endurance which is what we should cultivate. Responding to a request, Ajahn Brahm talks about loneliness which for many people is a big problem. Ajahn Brahm talks about what loneliness is, what its causes are and how to overcome it. Whilst the practice of meditation is very important, so too is the basics of how we relate to the people in our lives every day. The quality of the relationships that we develop with our family, work colleagues and the people we meet with every day is going to have a strong bearing on the quality of our minds and the quality of our lives, so it pays to give wise attention to this according to Ajahn Vayama. Too many people are trying to improve themselves, and underlying this attitude is a non-acceptance towards ourselves, and relentless perfectionism that tends towards makes ourselves miserable. Whilst it may be counter-intuitive to people in the West, the path to self improvement begins with accepting ourselves just as we are. Through learning to be at peace with ourselves, we heal the inner conflicts and begin to grow.